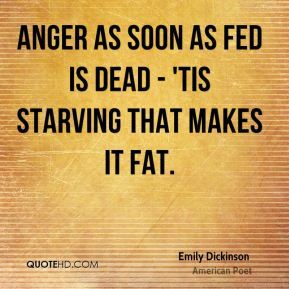 Anger as soon as fed is dead - 'Tis starving that makes it fat. 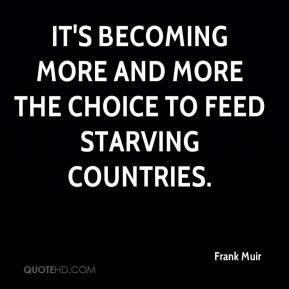 It's becoming more and more the choice to feed starving countries. 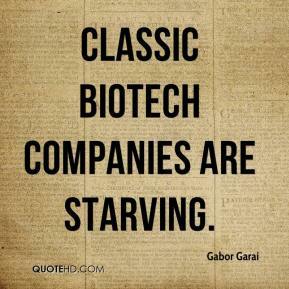 Classic biotech companies are starving. 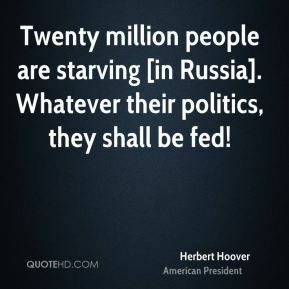 Twenty million people are starving [in Russia]. Whatever their politics, they shall be fed! 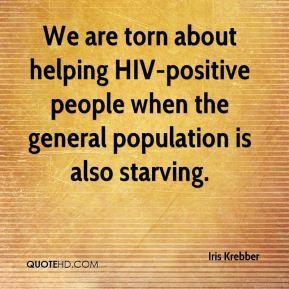 We are torn about helping HIV-positive people when the general population is also starving. When I grew up, we didn't have much money, ... 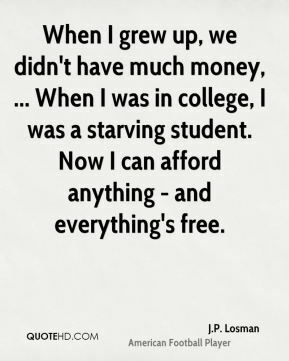 When I was in college, I was a starving student. Now I can afford anything - and everything's free. 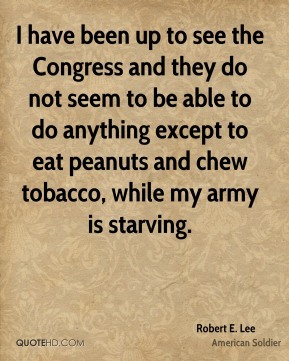 Starving. 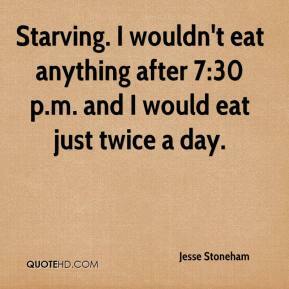 I wouldn't eat anything after 7:30 p.m. and I would eat just twice a day. We're playing soft. We're listening to all the hype. 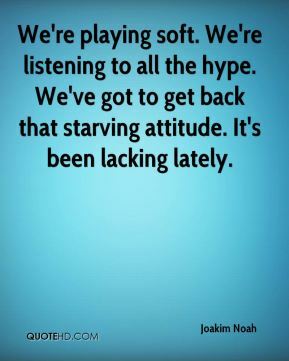 We've got to get back that starving attitude. It's been lacking lately. Companies are starving for people with technology skills. I think people are kind of shocked. 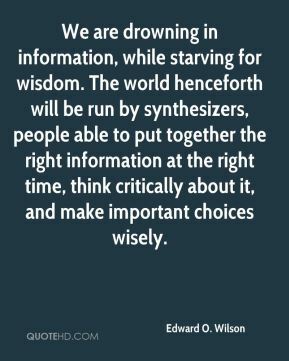 It's certainly almost taboo in society. Parents tell their kids the last thing they should do is skip college for the big money. 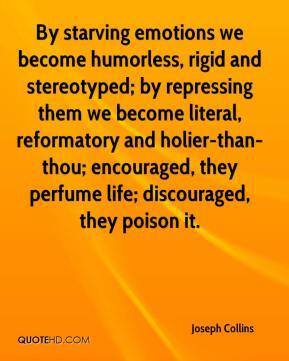 By starving emotions we become humorless, rigid and stereotyped; by repressing them we become literal, reformatory and holier-than-thou; encouraged, they perfume life; discouraged, they poison it. 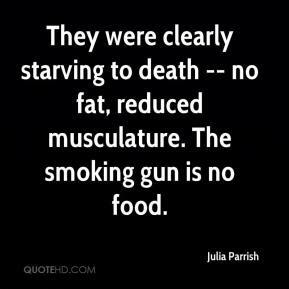 They were clearly starving to death -- no fat, reduced musculature. The smoking gun is no food. 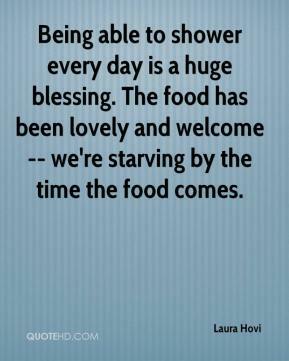 Being able to shower every day is a huge blessing. The food has been lovely and welcome -- we're starving by the time the food comes. 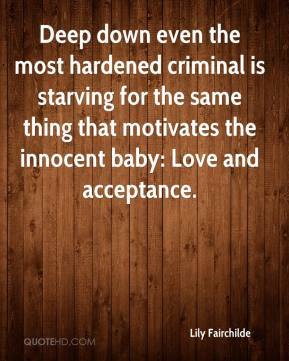 Deep down even the most hardened criminal is starving for the same thing that motivates the innocent baby: Love and acceptance. 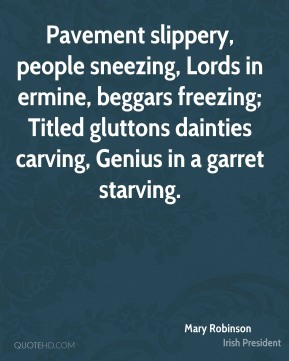 Pavement slippery, people sneezing, Lords in ermine, beggars freezing; Titled gluttons dainties carving, Genius in a garret starving. 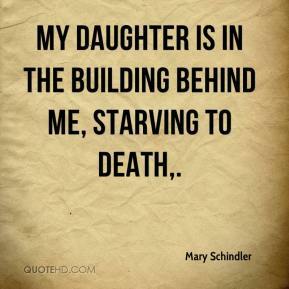 My daughter is in the building behind me, starving to death. 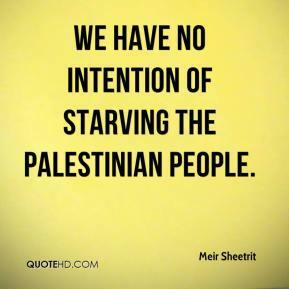 We have no intention of starving the Palestinian people. 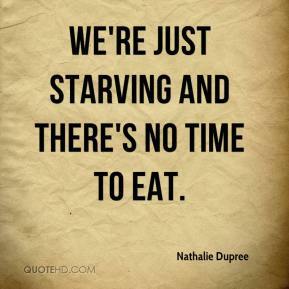 We're just starving and there's no time to eat. 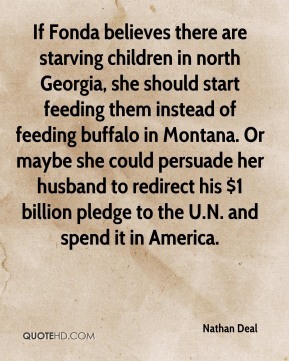 If Fonda believes there are starving children in north Georgia, she should start feeding them instead of feeding buffalo in Montana. Or maybe she could persuade her husband to redirect his $1 billion pledge to the U.N. and spend it in America. 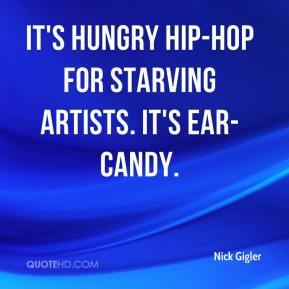 It's hungry hip-hop for starving artists. It's ear-candy. 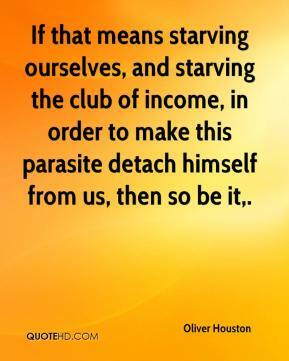 If that means starving ourselves, and starving the club of income, in order to make this parasite detach himself from us, then so be it. we were all starving in New York, and none of us were getting produced, and we were just frustrated. 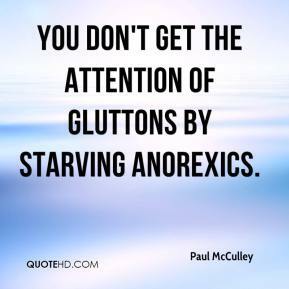 You don't get the attention of gluttons by starving anorexics. 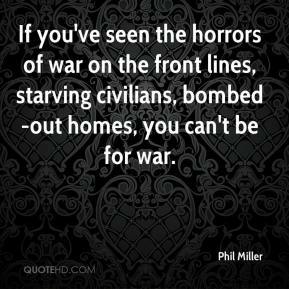 If you've seen the horrors of war on the front lines, starving civilians, bombed-out homes, you can't be for war.